-Light-weight, leave-in conditioner formulated to revive fine, dull or dry hair. Loaded with nutrient rich extracts. -Detangles and conditions without weighing hair down. -Infuses hair with vitamins and essential minerals. -UV protectants help maintain hair color. 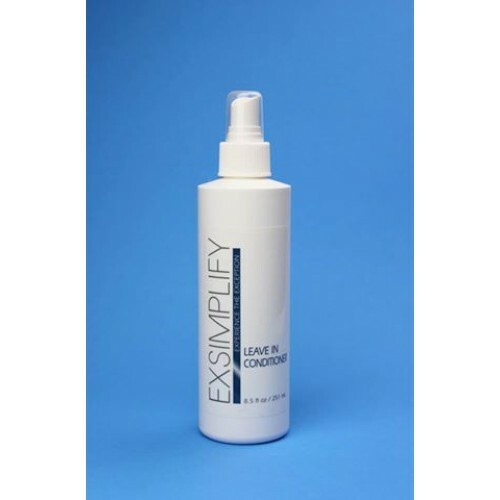 -Use on damp hair after shampooing. -Can also be used as a refresh dry hair. -Great before pool treatment to help lock out chlorine. -Mist generously over entire head. -On wet hair, squeeze excess water from the hair and spray liberally. -Comb through evenly from scalp to ends. -DO NOT RINSE. 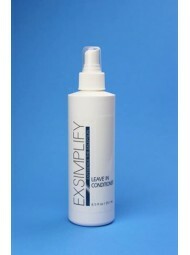 Follow with your favorite Exsimplify styling product. -Note: For extremely fine hair this product should not be used with other styling products to avoid hair being weighted-down.